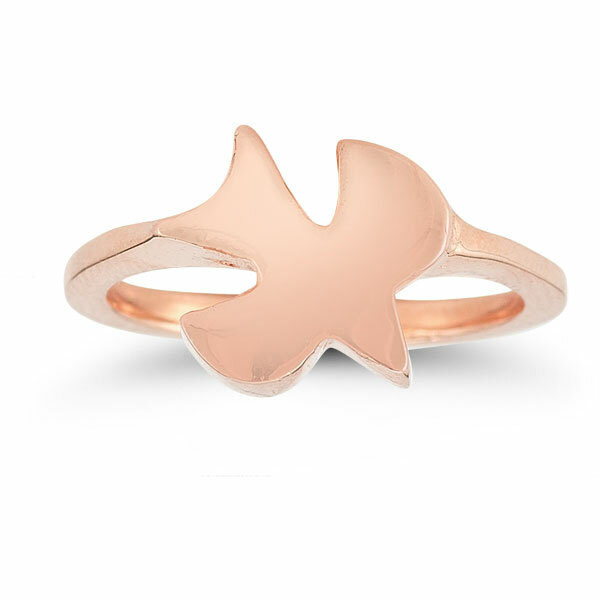 Soar on the wings of a dove every day with this bridal ring set from Apples of Gold. A solitary dove makes a bold statement in this Christian piece. 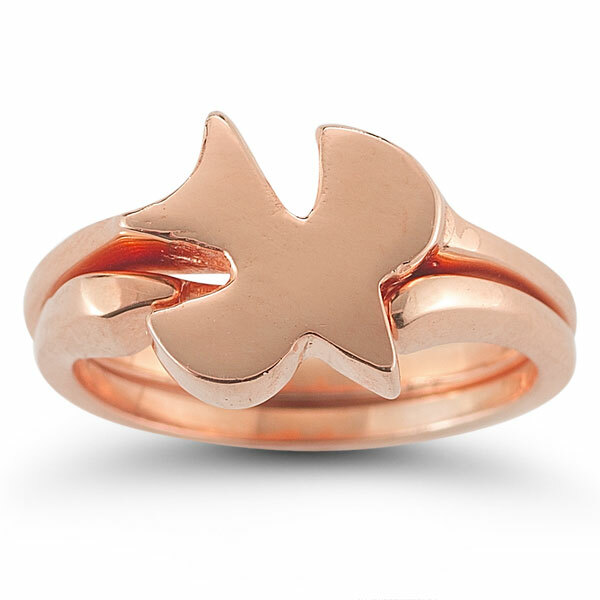 With a clean-lined profile, the dove displays gorgeous rose gold wings and a polished finished. 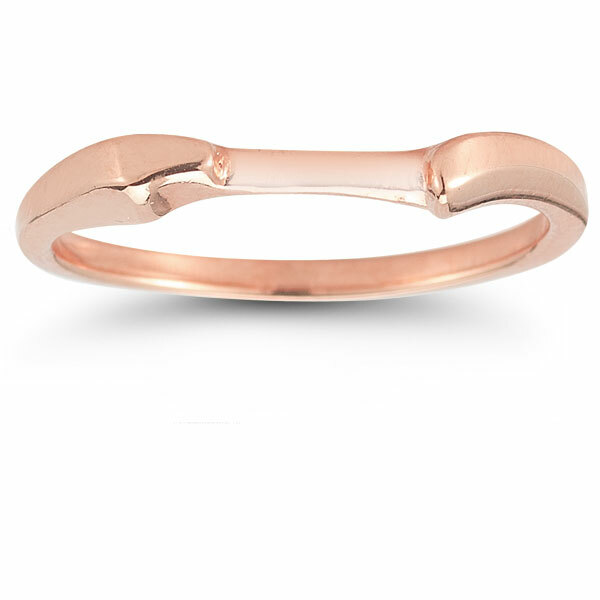 This delicate bird is carefully wrought from the finest 14K rose gold and is gracefully connected to two rose gold bands, each of which are polished to shine on the wedding day and ever after. 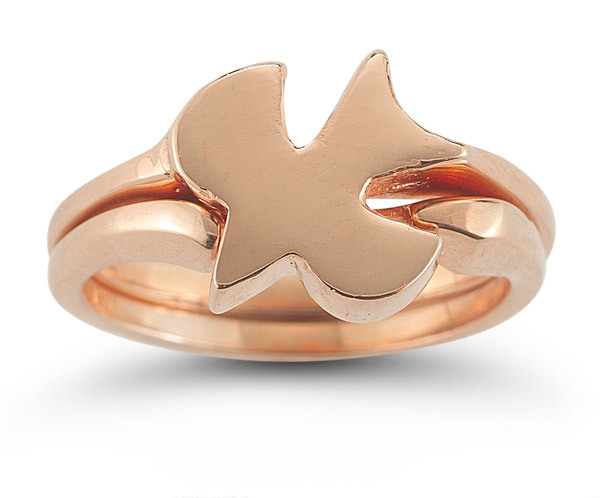 Apples of Gold Jewelry guarantees the Christian Dove Bridal Ring Set in 14K Rose Gold to be of high quality and an authentic engagement ring with real diamonds, as described above.